Pantech's Multiple Input Signal Isolator (2 i/p, 2o/p, Din Rail Type), model 831 is an ideal instrument for accepting various types of inputs from field and feed the converted signals to a control room instruments, thus accepting upto three standard inputs at a time. Input to the Isolator can be from thermocouple, RTD, two-wire transmitter, non two-wire transmitter, mV or a voltage source. Built in for T/C input. Pantech's Panel Mount Multi Channel Isolator (3 i/p, 3 o/p, Wall / Panel Mount), model 831 is an ideal instrument for accepting various types of inputs from field and feed the converted signals to a control room instruments, thus accepting upto three standard inputs at a time. Input to the Isolator can be from thermocouple, RTD, two-wire transmitter, non two-wire transmitter, mV or a voltage source. 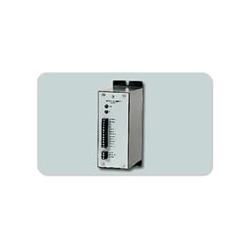 The instrument accepts upto three inputs in any combination and range, and provides corresponding isolated outputs of 4 – 20 mA DC/ 1 – 5 V DC or like. All the three inputs are isolated with each other and outputs. Inputs are isolated from the outputs. And all the outputs are isolated from each other. Low drift precession components are used for long term accuracy of the instruments. All instruments undergo a burn-in for better reliability. 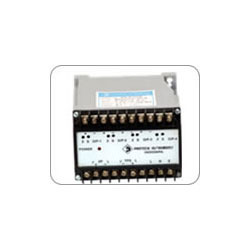 The instrument can be mounted on a wall or back of panel, its terminations are provided in front. Looking for Multi Channel Isolators ?